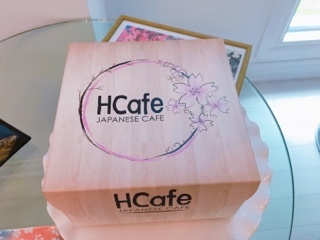 HCafe Japanese Cafe has taro and matcha cheesecakes! 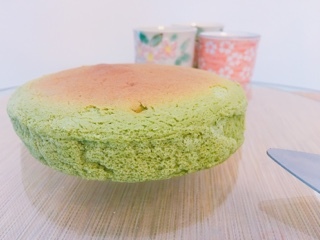 Oh the Japanese cheesecake … Torontonians can't get enough of this light fluffy and creamy concoction. The original buttery flavour has made people swoon (and line up) for the last couple of years. Now, HCafe Japanese Cafe is bringing additional Asian flavours to the city. If you didn’t realize, HCafe also has a matcha version ($10). Unlike other green tea treats, this one is more colour than flavour as the actual golden bitterness is light. Since matcha is normally such a strong ingredient, this muted version will either be enjoyed or detested. Meanwhile, HCafe’s new taro cheesecake ($10), this is special. Having brought both to a dinner party, more than one guest mentioned how good it was. 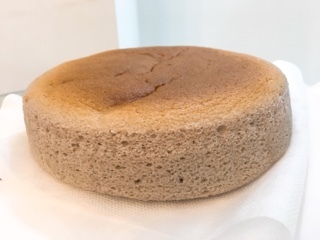 While the original Japanese cheesecake has a tangy buttery flavour, the taro one is deep and earthy. While it still has a creamy fluffy texture, the taro version is sweeter and makes for a satisfying dessert. For students, during September 2017, be sure to bring your newly minted student cards to the North York and Unionville locations - you will get 20% off all desserts. Now that’s a sweet treat for your dorm room friends. Disclaimer: The above cakes were provided on a complimentary basis. Rest assured, as noted in my mission statement, I will always provide an honest opinion.